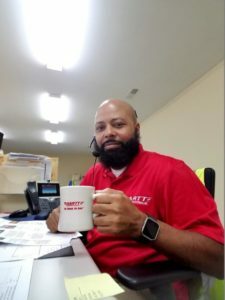 I am a U. S. Navy veteran and started my truck driving career in 2007. 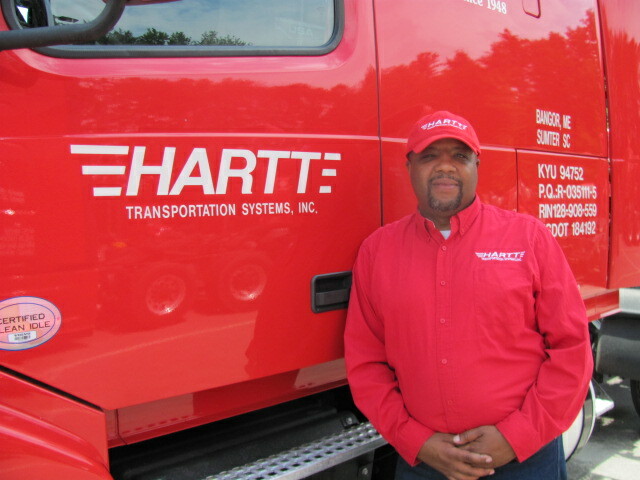 After driving for several different transportation companies I arrived at Hartt Transportation in November of 2011 as a Regional Driver. In 2012 I accepted a position in the warehouse working as a local driver / warehouse worker, and eventually becoming the warehouse manager in February 2013. In the beginning of 2014 while still managing the warehouse, I became the local dispatcher and later that year promoted to the position of Maine and New England planner. In June of 2015 I was tapped for relocation to Hartt Transportation’s South Carolina terminal to serve as the Recruiter for the Southeast. In that position I also continued to assist with dispatch and operations. In May of 2016 I relocated back to the Auburn Maine terminal to take the Northeast Recruiter Position. Every day I enjoy coming to work at Hartt. I feel our drivers and team members are part of my extended Family. I started driving trucks back in 1999 with a beer company. Then I drove for a few mom and pop companies and that put a bad taste in my mouth for driving truck. I then changed careers, I went into Law Enforcement. In 2004 I went to work for Fayetteville State University Police Department. I was in the traffic division. I was there for two years and this is something you have to love to stay. It became hard to make ends meet so back to trucking I went. I then drove for several big name companies which was good for the experience but still not happy. So in September 2016 I was recruited by Terilyn Jackson and became apart of the Hartt Transportation Systems, Inc. family. I started out as a Sumter local and then moved up into the Recruiters position in January. This is the best company I have ever worked for now I’m happy now I’m home.